Design engaging learning activities and experiences by using a flexible and intuitive instructional system. 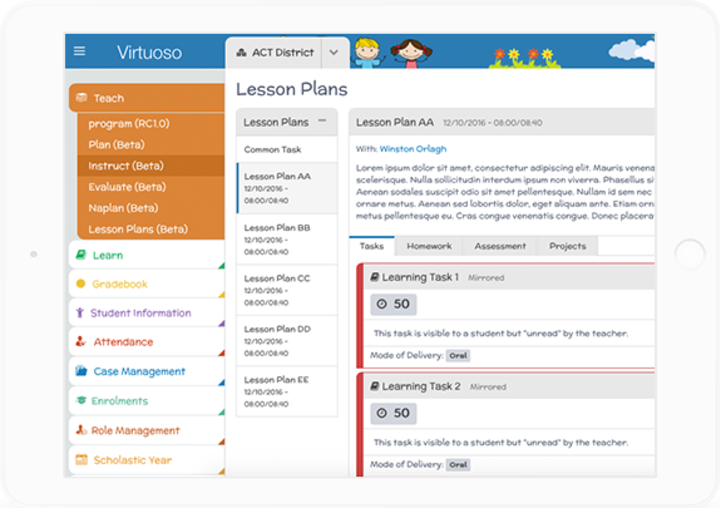 Virtuoso supports teachers by providing sophisticated templates that scaffold the planning and delivery of lesson plans and projects. Strengthen the link between learning and teaching by engaging all stakeholders as partners in learning. 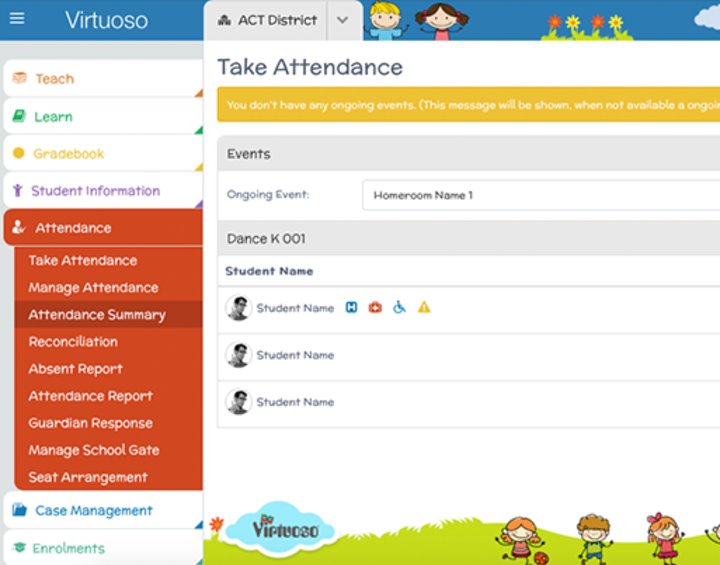 Virtuoso supports collaboration across all levels through communication, access to student learning data, and professional learning communities. Create personalised learning plans tailored to students’ needs, interests, abilities and backgrounds. Virtuoso facilitates the personalisation of teaching and learning through detailed data analyses and evidence-based recommendations. Access a wide range of shared educational resources and customise them for your class using Virtuoso’s Content Management System. Engage all stakeholders via an integrated and secure social media platform which enables positive parental involvement, support, and school community outreach. 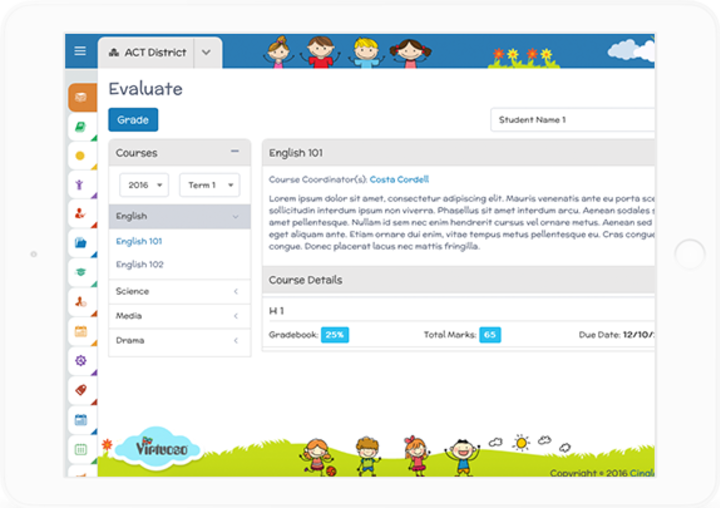 Provide feedback and easily report on learning progress using intelligent system features, which organise and visualise relevant student information. 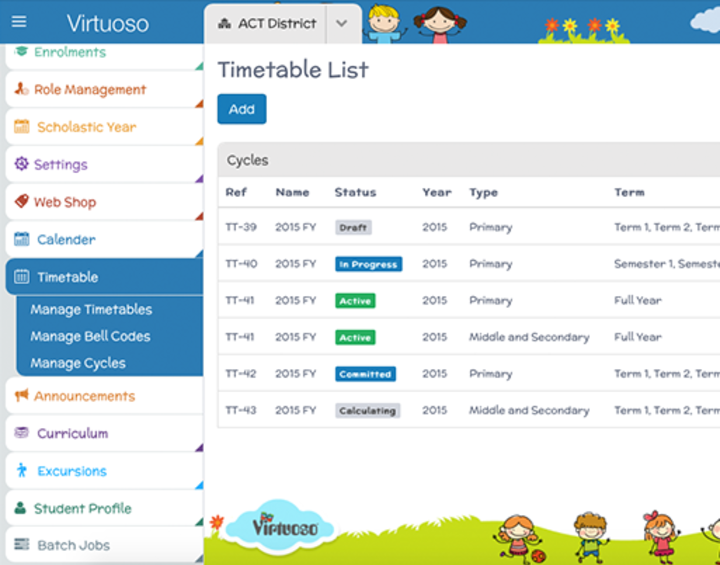 Virtuoso’s administration features streamline the everyday process of supporting educational organisations. Collate information from across your organisation to create detailed and highly specific data reports and actionable insights to improve services and business practices. Audit student attendance data at a granular level to maintain accurate records and satisfy duty of care requirements. 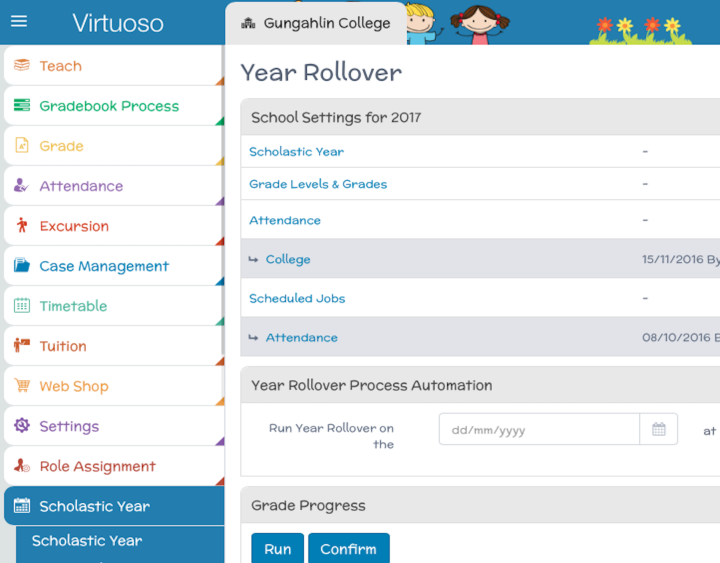 Virtuoso enables data to be generated to inform planning and monitoring of organisational and individual student attendance strategies. Generate multiple optimised timetables that can be edited manually and are fully system integrated. Virtuoso’s automated timetable solution provides an fast, easy and comprehensive method for creating and scheduling events. Integrate state, federal, or alternatively registered curricula and configure courses accordingly to standardise education throughout the organisation. 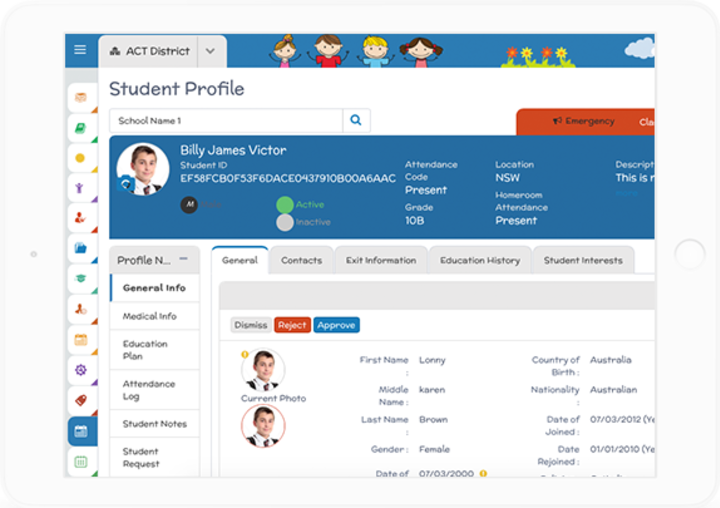 Collect and maintain student information using a flexible and intuitive dynamic form system. Maintain and manage records covering all aspects of financial activity through Virtuoso’s Enterprise Resource Planning (ERP) capabilities.